Video New Year's Greeting from The Riley and Kimmy Show. 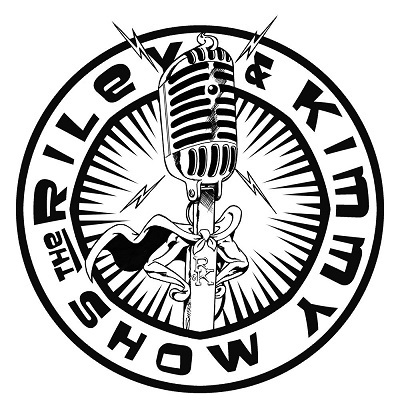 On this episode of The Riley and Kimmy Show we talk about why The Riley and Kimmy Show started years ago, Drew Carey, Johnny Carson. We play nerd geek pop culture trivia and two samples of The Golden Age of Radio. This special episode of The Riley and Kimmy Show we interview Rick Shea the owner of Famous Faces and Funnies comic book shop owner in Melbourne, Florida. We talk about comic books, artists, superheroes, what is in store for 2017. We chat about the upcoming Orlando Toy and Comic Con. Flashback Friday episode of The Riley and Kimmy Show we talk about Kimmy’s contract negotiations/demands. We play nerd/geek trivia and an example of the Golden Age of Radio. Shoutouts to author Jeff Dixon and the Deland Comic and Collectible Show. Throwback Thursday episode of The Riley and Kimmy Show we talk about the person who influenced many of the Rolling Stones’ songs, upcoming Deland Comic and Collectible Show. We play nerd/geek trivia and an example of the Golden Age of Radio. Shoutouts to Patty and Eric Woller of Vicious Collectibles, Tom Raupp of Pop Culture Playground, Tim Proctor and Disney author Jeff Dixon. Please help us name our new mascot for The Riley and Kimmy Show's Animal Special. The new mascot makes it debut at Comic Central in Sanford, Florida on Saturday, January 28, 2017 and the Orlando Toy and Comic Con on Sunday January 29, 2017. 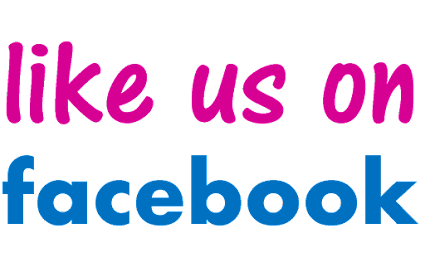 We will announce the new name on our Facebook page on February 1, 2017. On this episode of The Riley and Kimmy Show we talk about New Year’s resolutions, the worst TV theme of all time, the upcoming Deland Comic and Collectible Show. We play nerd/geek trivia and an example of the Golden Age of Radio. On this episode of The Riley and Kimmy Show we talk about the upcoming Deland Comic and Collectible Show. We play nerd/geek trivia and an example Hollywood legend on the Golden Age of Radio. Shoutouts to George Lowe the voice of Space Ghost and author Jeff Dixon. On this episode of The Riley and Kimmy Show we talk about the upcoming Deland Comic and Collectible. We play nerd/geek trivia and an example Jack Benny from the Golden Age of Radio. 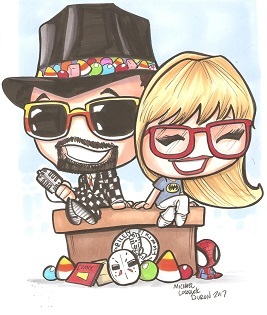 This special episode of The Riley and Kimmy Show we interview author Jeff Dixon about his upcoming appearance at the Deland Comic Collectible Show. We talk about his mystery/adventure books set in Walt Disney World. Jeff also shares Disney history and trivia. On this episode of The Riley and Kimmy Show we play nerd/geek trivia and three unusual Christmas examples of the Golden Age of Radio. On this episode of The Riley and Kimmy we play nerd/geek trivia and have an example of Golden Age of Radio. This is an addendum to Podcast 1093. On episode 1093 one of the things we talk about during pop culture trivia is Howard Hughes and we make reference to this Golden Age of Radio recording of Howard Hughes from 1947. It’s a Flashback Friday episode of The Riley and Kimmy we play nerd/geek trivia and have a classic Christmas example of Golden Age of Radio. 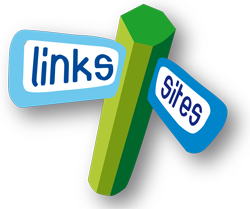 It’s a Throwback Thursday episode of The Riley and Kimmy Show we talk about two classic TV game shows, Rick Nielsen and Cheap Trick. We play nerd/geek trivia and have an example of Golden Age of Radio. On this episode of The Riley and Kimmy Show we play nerd/geek trivia and an example of Golden Age of Radio featuring a classic cartoon voice actor. On this episode of The Riley and Kimmy Show we play nerd/geek trivia and a classic Christmas Golden Age of Radio production. Shoutouts to The Deland Comic and Collectibles Convention, Smash Comics and Games. George Lowe interview recorded at Smash Comics and Games Saturday, December 17, 2016. George talks about Smash Comics and Games, his upcoming appearance at the Deland Comic and Collectible Show, radio/TV and voice over work. On this episode of The Riley and Kimmy Show we play nerd/geek trivia and in our opinion the best performance of Scrooge on the Golden Age of Radio. On this episode of The Riley and Kimmy Show we play nerd/geek trivia and an example of the Golden Age of Radio. Shoutouts to the Deland Comics Collectibles Show and the Artegon Marketplace. On this episode of The Riley and Kimmy Show we talk about George Lowe the voice of Space Ghost Sanford Florida. We play nerd/geek trivia. In honor of George Lowe we play three comedy examples of the Golden Age of Radio featuring three legendary cartoon voices. Shoutouts to David Corporon, artist Kool As Heck. On this episode of The Riley and Kimmy Show we talk about George Lowe the voice of Space Ghost Sanford Florida. We play nerd/geek trivia and two examples of the Golden Age of Radio. Shoutouts to David Corporon, artist Kool As Heck. On this episode of The Riley and Kimmy Show we talk about George Lowe the voice of Space Ghost Sanford Florida. We play nerd/geek trivia and an example of the Golden Age of Radio. Shoutouts to David Corporon, Mike Pries and the Orlando Toy and Comic Con. On this episode of The Riley and Kimmy Show we talk about George Lowe the voice of Space Ghost. For Wayback Wednesday we have an interview with David Corporon the owner of Smash Comics and Mike Pries of the Orlando Toy and Comic Con and discuss George Lowe’s upcoming appearance at Smash Comics and Games. In honor of cartoon voice actor George Lowe we play a classic example of the Golden Age of Radio featuring a legendary cartoon voice actor. Shoutout to Kool as Heck. On this episode of The Riley and Kimmy Show we talk about Mary Todd Lincoln We.play nerd/geek pop culture trivia and two classic examples of the Golden Age of Radio. On this episode of The Riley and Kimmy Show we talk about Edward G. Robinson and Frank Sinatra. We.play nerd/geek pop culture trivia and three classic examples of the Golden Age of Radio. On this episode of The Riley and Kimmy Show we play nerd/geek pop culture trivia. We play a classic example of comedy on the Golden Age of Radio featuring a famous cartoon voice. Shoutouts to David Corporon of Smash Comics, George Lowe the voice of Space Ghost and the Orlando Toy and Comic Con. On this episode of The Riley and Kimmy Show we nerd/geek pop culture trivia. We play classic examples of the Golden Age of Radio. Shoutouts to David Corporon of Smash Comics, George Lowe the voice of Space Ghost and the Orlando Toy and Comic Con. On this episode of The Riley and Kimmy Show we talk about Kirk Douglas and play nerd/geek pop culture trivia. We play classic examples of the Golden Age of Radio. On this episode of The Riley and Kimmy Show we talk about Smash Comic and George Lowe the voice of Space Ghost. We play nerd/geek pop culture trivia. We play classic examples of the Golden Age of Radio featuring actor Lee J. Cobb. Shoutouts to David Corporon and Mike Pries of the Orlando Toy and Comic Con. We interview David Corporon the owner of Smash Comics and Games and Mike Pries the promoter of The Orlando Toy and Comic Con. We talk about the upcoming in store appearance of George Lowe the voice of Space Ghost and upcoming comic book guests to the Orlando Toy and Comic Con. On this episode of The Riley and Kimmy Show we talk about Pearl Harbor and actor Harry Morgan. We play nerd/geek pop culture trivia. We play classic examples of the Golden Age of Radio. On this episode of The Riley and Kimmy Show we talk about Van Williams, The Green Hornet, Star Trek VI. We play nerd/geek trivia and a classic example of the Golden Age of Radio. On this episode of The Riley and Kimmy Show we play nerd/geek trivia and two examples of the Golden Age of Radio. On this episode of The Riley and Kimmy Show we talk about Frankenstein. We play nerd/geek trivia and an example of horror on the Golden Age of Radio. On this episode of The Riley and Kimmy Show we talk about A Streetcar Named Desire. We play nerd/geek trivia and an example of the Golden Age of Radio. On this episode of The Riley and Kimmy Show we play nerd/geek trivia and two examples of the Golden Age of Radio starring an iconic TV actor and actress. Shoutout to Mark Mayhew, Todd Merrick of Heroes Landing and Spooky Empire. On this episode of The Riley and Kimmy Show we play nerd/geek trivia and an example of the Golden Age of Radio featuring classic film actress. Shoutout to Christian of MarkWho42 and Eric Woller of Vicious Collectibles.